Running short on funds and time, with people still on your Christmas list? Use one of the library’s crafting resources to make something special for your special someones! Creativebug has free video tutorials on everything from traditional painting, to fiber arts, to handmade journals! With so many options easily sorted by difficulty and approximate length of effort, Creativebug will have you done with your Christmas gift planning in two shakes of a container of glitter. 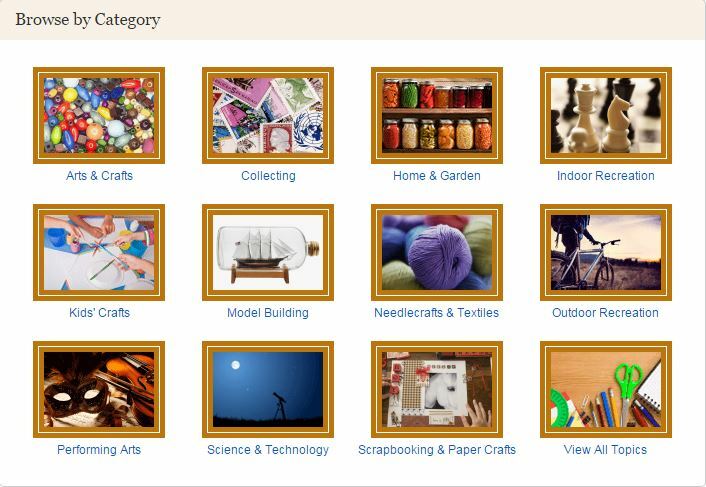 The library’s Hobbies and Crafts Reference Center draws from popular sources of patterns for crocheted and knitted works, as well as sources for recipes – so if you accidentally make something you like too much to give away, you can find a new recipe for fancy baked goods to give them, instead! They never have to know. Introducing EBRPL’s latest digital resource, Creativebug! With Creativebug, you have access to over a thousand video classes on how to do everything from knitting to party planning. There’s even a section just for kids! Stuck in an artistic rut? Their Daily Practice playlists will send you on new creative journeys into whatever art your soul desires – jump-start your enthusiasm for a style you’re already using, or pick up some new skills! It’s all free with your library card. You’ll find Creativebug in the Digital Library on our website. Go get creative! September is National Recovery Month, and its purpose is to raise awareness and celebrate the successes of people in recovery from mental health and/or substance use disorders. 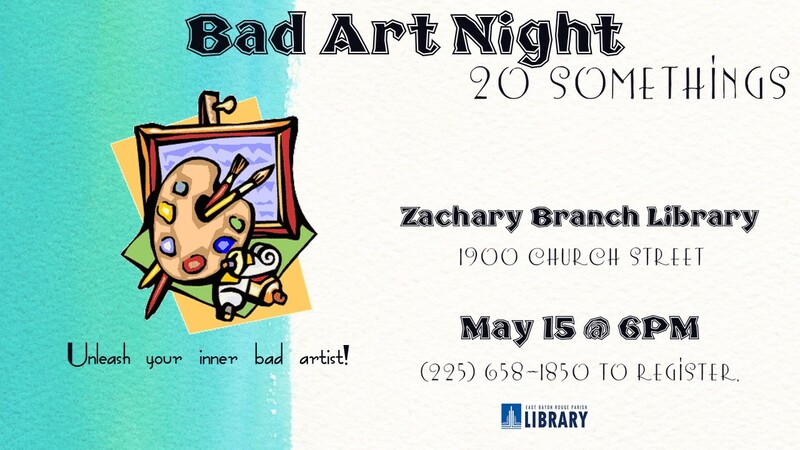 The East Baton Rouge Parish Library is recognizing National Recovery Month by hosting Addiction: Sabotage, Sobriety, Surrender, at the Main Library at Goodwood, 7711 Goodwood Blvd., which is a compelling exhibition featuring the vibrantly striking works of artist and author of Art & Addiction Ben Peabody. The display will run September 1-30. A native of Baton Rouge, Ben Peabody attended Louisiana Tech University, where he received a B.A. in Art Education. Later studies include a M.A. in Instructional Media from Southern University and additional work on a M.F.A. at Louisiana State University. Influenced by his love of the water and its mysteries and by Mexican artists Diego Rivera and Guadalupe Posada, Peabody’s work fuses figurative and expressive art with geometric, abstract art. 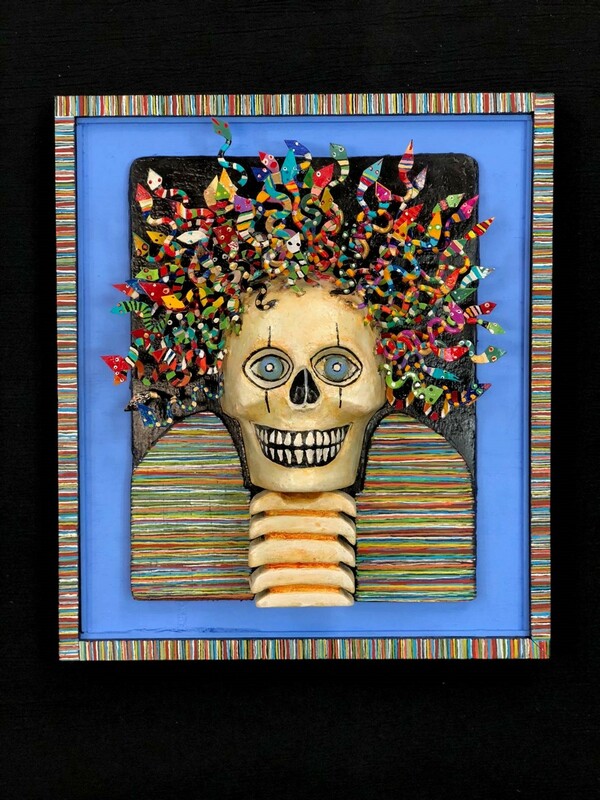 His series, Art & Addiction, is based on personal experiences, research and stories of persons in recovery. Stories are interpreted through the symbolic use of objects, words and colors reflecting his imagination. This body of work was created over a 19-year period. Peabody has been a full-time artist since 2001 showing in group and solo shows in Louisiana, Georgia, Florida, Alabama and New Mexico. There also will be a FREE special program led by Peabody at the Main Library at Goodwood at 3 p.m. Sunday, September 16, that will feature two of the subjects of his art, as they speak about their experiences in overcoming addiction. Presenter Cory W. will discuss Higher Power, and Fred B. will talk about Shake N’ Bake. Enjoy funky blues and swamp pop tunes before the program begins by D.B. Cooper. East Baton Rouge Parish Coroner Dr. William “Beau” Clark will share insights on the effects of addiction and the staggering statistics that reflect the toll it takes on life and longevity. Representatives from various community addiction resource groups and organizations also will be available at the program. A book signing will follow the program. Signed copies of the author’s book will be available for purchase at the event. Additional resources and more detailed listings are available in the Mental Health & Substance Use Recovery Resources InfoGuide. Please note that inclusion of a resource in the InfoGuide or printed materials should not be considered an endorsement or medical advice. 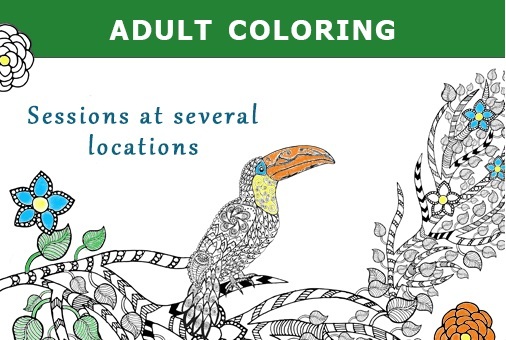 For more information, about the Art & Addiction exhibit and special program, call (225) 231-3750. To learn more about National Recovery Month, please visit their website. 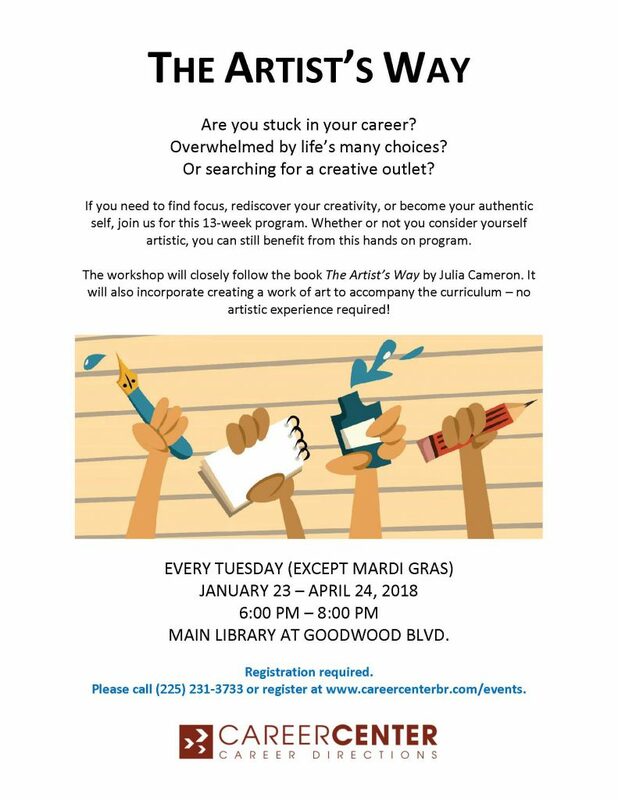 Practice The Artist’s Way with other artists and creatives who want to set fire to their spark with the Career Center’s 13-week program! 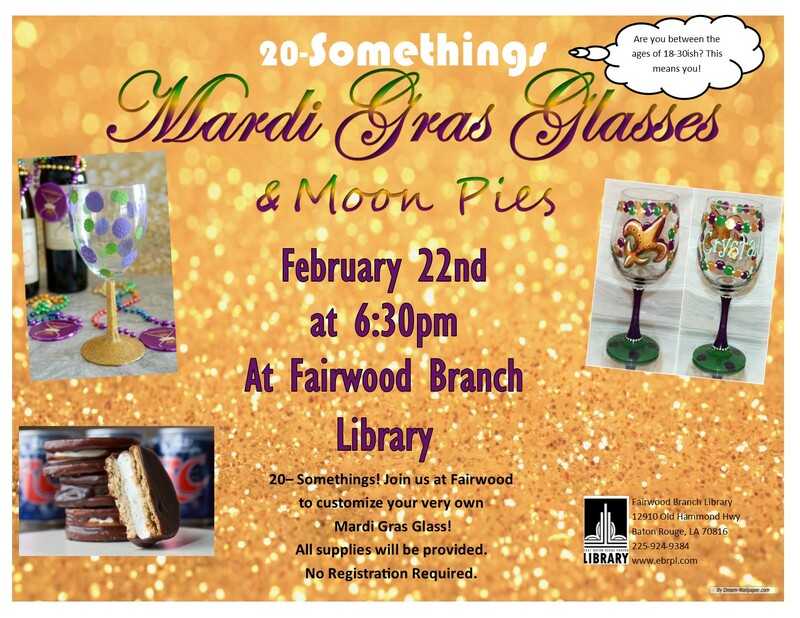 Sessions are every Tuesday (except Mardi Gras) from January 23rd-April 24th, 2018, from 6-8 PM, at the Main Library on Goodwood. 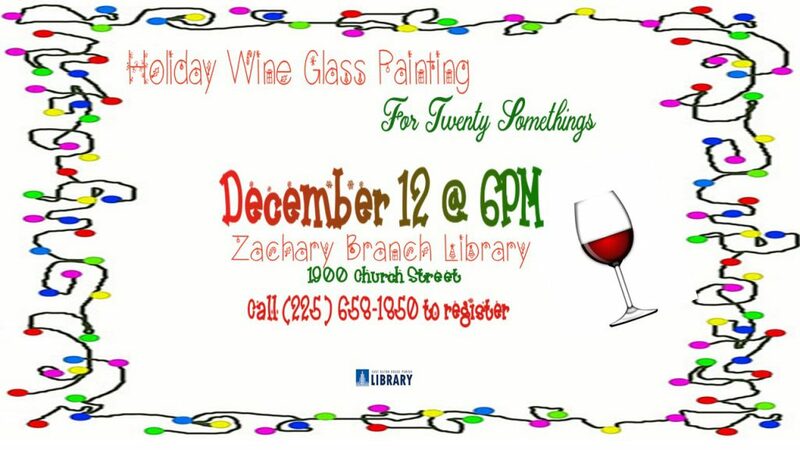 You can register for this excellent program by calling the Career Center at (225) 231-3733 or visiting the event website. 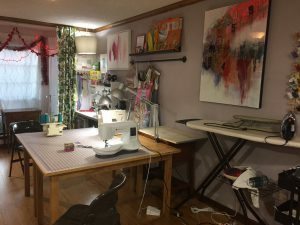 The range of group classes, private lessons, video tutorials, and online articles that is Fair Fit Studio was born in Andrea Eastin’s midcity home four years ago, but Eastin herself has been part of the handmade fashion world for much longer. After achieving a bachelor’s degree in Painting and Drawing from the University of Iowa and attending workshops in dye and surface design at the Penland School of Craft, Eastin attended the School of the Art Institute of Chicago for a Master of Fiber and Material Studies degree. There, she also taught a beginner-to-advanced curriculum of four classes in sewing, with an emphasis on clothing construction and fashion. She set up a fashion line in New Orleans until the disaster of Hurricane Katrina forced her and so many others out of the city, but later moved back to complete what felt like unfinished business. “I came back to New Orleans and I got really involved with the fashion scene there that was growing because of the post-Katrina influx of new people and new initiatives,” Eastin said. Fair Fit Studios class space and workroom. Though fashion and clothing design remained (and continue to be) one of Eastin’s passions, it was difficult to meet the production demands of clothing stores that were interested in carrying her lines. “I knew I was in a model that I did not have the resources or the capacity to make successful from where I was,” she said. “I had to just totally start over. Sometimes being able to totally start over can bring something really amazing into your life, because you’re not repeating something you know how to do.” A marriage (to local hairdresser and creative director Paul Eastin), a move to Baton Rouge, and a “stop-doing” year to give herself a chance to recharge were just what was needed to let the idea of Fair Fit Studios percolate. The move especially helped to shape the business: Where New Orleans is known for its grandiose celebrations and regular festivals, all of which require a different custom-made costume or gown and each of which places severe constraints on the natural ebb and flow of clientele, Eastin found that “here people are really looking for ways that they can grow their children’s interests. 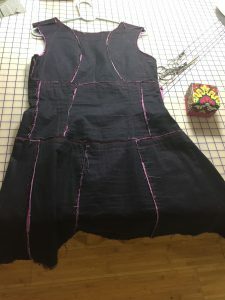 With the private lessons for teenagers and children that I do, that’s often parents that know their child loves fashion, or wants to know how to sew, and they don’t have anybody that can teach them. And so the parents really try to figure out how this can be their kid’s thing.” Private lessons may be anything from a young child designing and sewing her own Christmas dress with Eastin’s careful supervision, to a teenager building a portfolio to apply to advanced courses of study with the benefit of Eastin’s vast technical skill. The name “Fair Fit” comes from Eastin’s academic background and personal philosophy towards fashion and clothing design – it was originally the title of her thesis at the Art Institute. In this case, “fair” means both “adequate” and “just,” and plays off rising concerns about where clothing is made and how it is paid for. “It was a form of grading, meaning sizing, that I created so that it had some play – could be customized. I named it off of my clothing line because I think it’s more fair to teach a person the skills … it’s more fair if you have the autonomy to be able to make it yourself and to make your own decisions, it’s more democratic that way, than having to find somebody to do it for you, or having to rely on what already exists to make the choice for you. It’s not fair that we don’t have these skills anymore,” she said. The Fair Fit dress and pattern will soon be available online, and Eastin will teach classes on her sizing system. The Fair Fit pattern pieces. The pattern is designed so that each piece can be swapped out for one of a different size, creating an individualized fit. 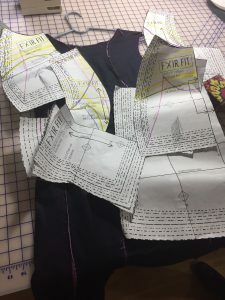 Join the Fair Fit Studios emailing list to learn about upcoming classes, both in-house and online, and for more information about every aspect of fashion design. You can also follow Fair Fit’s Facebook page.